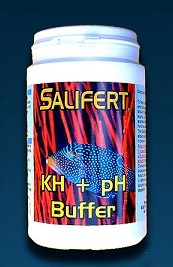 About KH + pH Buffer It is a highly concentrated, fast dissolving powder which increases alkalinity (carbonate hardness) and stabilizes the pH at the correct value. 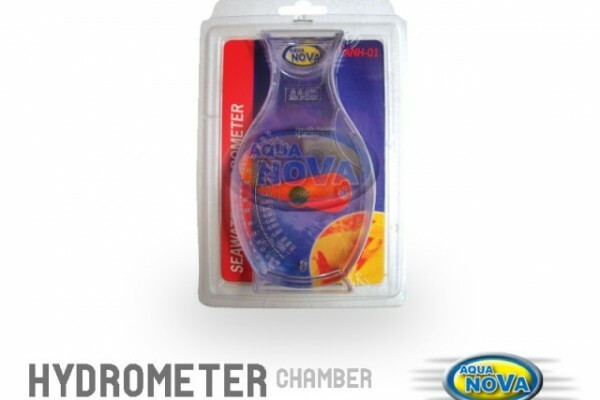 In these ways it contributes significantly to the health of all aquarium inhabitants including corals, coralline algae and fish. Dosage: Depending on the package either a measuring beaker (gradation marks at 10 and 20 ml) or a scoop is included (7 level scoops = 10 ml). Add it in high flow area or pre-dissolve it in some freshwater (4 fl. oz. of water for each 10 ml of powder). Every 10 ml powder per 25 gallons will approximately increase the alkalinity by 1.2 meq/L. This corresponds to an increase in carbonate hardness by 3.3 German Carbonate Hardness (dKH). 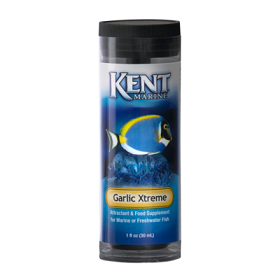 To keep your corals and beautiful encrusting algae in good health you should maintain an alkalinity of approx. 2.8 – 3.2 meq/L or 7.8 – 9 dKH expressed in German carbonate hardness value. 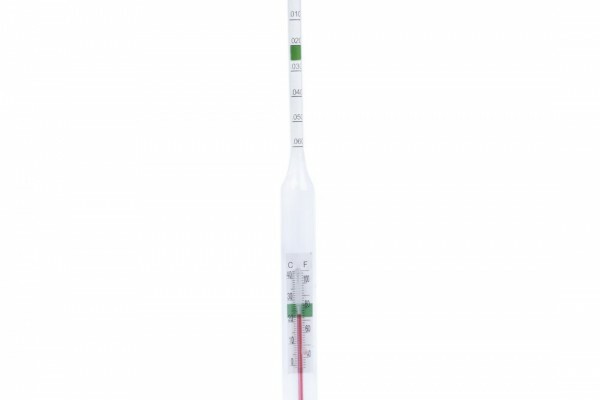 The Salifert KH/Alk Profi-Test allows you to measure in 0.1 meq/L increments.